The global automotive lighting market was valued at USD 23.98 billion in 2017 and is anticipated to grow at a CAGR of 8.1% during the forecast period. automotive lighting comprises lighting and signaling devices that increase the visibility of the path and other surrounding vehicles. These lighting solutions are generally mounted on the front, rear, and sides of a motor vehicle to indicate position, speed, and direction of travel. Lighting elements are also used by brands to incorporate styling elements and enhance the appearance and identity of vehicles. Automotive lamps are manufactured from metallic reflectors, light bulb or LED sources, embossed and polycarbonate lenses among others. The significant growth in the global automotive industry, and increasing demand for passenger and commercial vehicles worldwide have accelerated the demand for Automotive Lighting Market. The rising need for enhanced visuals and safety on the road, along with increasing number of road accidents have encouraged market players to integrate advanced lighting solutions into their vehicles to improve safety. Technological advancements in this market has resulted in growing adoption of energy efficient and environment friendly lighting solutions. The increasing demand of vehicles from countries such as China, U.S, and Western Europe also increases the demand of automotive lighting solutions. The introduction of stringent government regulations regarding vehicular safety and use of energy efficient lighting solutions further support the growth of the Automotive Lighting Market. The global automotive lighting market is segmented on the basis of type, technology, end-user, sales channel, and geography. Based on the type, the market is segmented into exterior and interior lighting. In 2017, exterior lighting accounted for the highest market share in the global automotive lighting market. Exterior lighting includes front lights, rear lights, and side lights. The increasing adoption of technologically advanced vehicles, rising incidences of accidents, growing need to streamline and manage traffic in urban areas, and growing safety concerns on the road drive the growth of this segment. The technology segment is divided into LED, halogen, xenon, and others. In 2017, the halogen segment dominated the global market owing to low purchasing and replacement costs associated with them. The sales channel segment is categorized into OEM, and aftermarket. OEM accounted for the dominant share in the global automotive lighting market in 2017. The end-users in the global automotive lighting market include passenger vehicles, and commercial vehicles. Passenger vehicles dominated the global automotive lighting market in 2017 owing to increasing demand for passenger cars from emerging economies, and technological advancements. Rising disposable income, changing lifestyles, and increasing adoption of eco-friendly lighting solutions would support the growth of lighting market in this segment. 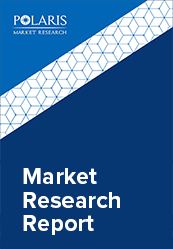 This report comprises a detailed geographic distribution of the market across North America, Europe, Asia-Pacific, Latin America, and MEA. North America is further segmented into U.S., Canada, and Mexico. Europe is divided into Germany, UK, Italy, France, and Rest of Europe. Asia-Pacific is bifurcated into China, India, Japan, and Rest of Asia-Pacific. Asia-Pacific accounted for the largest share in the global Automotive Lighting market in 2017. The rising demand for automobiles, and significant growth in the automotive sector accelerates the adoption of automotive lighting in the region. The growing disposable income, and improving living standards, along with emerging economies of China, Japan, and India boost the market growth in Asia-Pacific. The introduction of stringent government regulations regarding vehicular safety and use of energy efficient lighting solutions are factors expected to provide growth opportunities in the region during the forecast period. The vendors in the market are launching new products to meet the growing customer needs. In addition, the leaders in the market are acquiring and collaborating with top companies in the market to enhance their offerings in the market and expand their customer base. The Automotive Lighting market is highly competitive with the presence of a large number of small and large vendors. The leading players in the market include Osram GmbH, Koninklijke Philips N.V., Zizala Lichtsysteme GmbH, Magneti Marelli S.P.A., Stanley Electric Co., Ltd., Ichikoh Industries, Ltd., Hella KGaA Hueck & Co., Koito Manufacturing Co. Ltd., General Electric Lighting, and Valeo S.A among others.